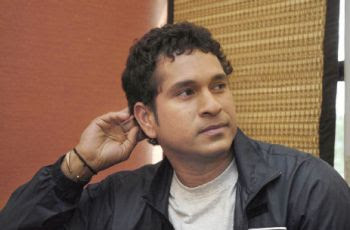 Little master Tendulkar has expressed shock over the treatment given to senior cricketers in the country. I think there should be some respect shown to senior players who have made major contributions. The world's most respected batsman went on to add that in no other country were the seniors treated with such lack of respect. In the mid of Gavasakar-Border trophy,which has been marked by intense speculation on the retirement plans of India's seniormost cricketers, the batting maestro hit out at the critics saying it was up to the seniors to decide the time and place of their retirement. I think this should be left to an individual. The individuals will take their decisions when they feel it's the right time.We all know when to move away from the sport. We have played enough to know exactly when to move away from the game. But people have their opinions. Sometimes these opinions are not correct. But one is made to believe that this is the right opinion. About Sourav Ganguly's decision to quit, Tendulkar said he was surprised and did not know what was going on in Ganguly's mind and what he thought of his future.I was surprised by Sourav's decision to quit. I am sure it must have taken him a long time to reach there. And it's a big decision. But if he feels that it is the way to go, then we all should respect his decision -Tendulkar said.